From wildfires in California and hurricanes in Texas to floods in West Virginia, hardly any area of the U.S. is immune to the threat of natural disasters. 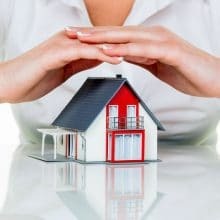 Despite this threat, many homeowners still lack the insurance needed to protect their property and possessions from such catastrophes. In certain areas that are extremely high-risk for wildfires, it can be difficult to find a company to insure your home. In such cases, you should look into state-sponsored fire insurance like California’s FAIR Plan. To make certain you have the necessary insurance coverage to protect your home and belongings from natural disasters, consult with me. I’ll help evaluate the specific risks for your area, assess the value of your assets, and support you to determine the optimal levels of insurance you should have in place.